New York City is notorious for its large populations of rats and cockroaches in particular. 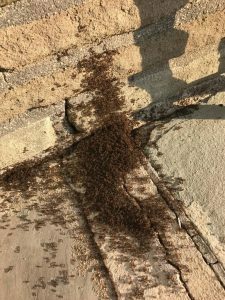 Due to these large infestations, our company has professionally trained and highly skilled exterminators to minimize the damage these pests can cause residents. Our aim is to clear your home or business of all pests. The methods we use are not only effective, but safe for you and the environment too. Using the latest technology along with our experience in dealing with various infestations, we will make sure your home is pest-free, and remains that way. There are many different types of stinging insects. Some can be harmless, such as honeybees for example. But there are others like wasps and hornets, which are extremely aggressive, and can be very dangerous. They can be even more of a threat if you are allergic to bee stings. Unfortunately, many people may not even know if they are allergic until they are stung. The results could then be life threatening, and in extreme cases, even fatal for some. Unless you are highly trained in identifying bees, you should never try to remove bees or their hives on your own. It is always best to rely on a bee removal expert to do the job for you. They are trained in handling all types of stinging pests. 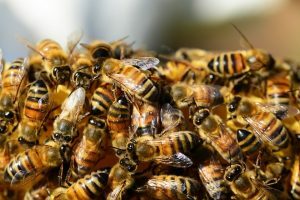 Some of them, like honeybees, actually play a vital role in the environment. They must not be exterminated, but rather removed and relocated. A bee removal professional will know how to safely do this for you. The summer time is when most people expect and ant infestation of some kind. However, they are active all year, and can enter your home at anytime. They will come into your home in their search for three things in particular: food, water or shelter. Any one of these could be enough to draw ants in. Sometimes just a single crumb could attract a few ants, and then those few will contact other ants from their colony to come in and feast too. It’s important to keep your home clean, especially the kitchen and pantry areas. Always clean up any food particles after you eat, and make sure all leftovers are kept in sealed containers. There is only so much you can do though; an ant infestation can still occur. In these cases, it is recommended to contact a professional ant removal expert. They will be able to not only get rid of the infestation you are currently experiencing, but they will help to prevent them from coming back by eliminating them at the source. This one may quite be the most dreaded pest in New York City and Brooklyn. For many, the mere thought of having bed bugs is enough to keep them awake at night. 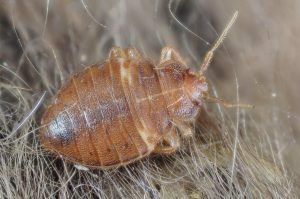 But if you find yourself waking up in the morning with itchy, red welts on your body, this could be a sign that you do in fact have a bed bug infestation. These creatures live in the dark crevices of you mattress and box spring, and come out at night to feed on your blood. These blood meals is what allows them to reproduce. That’s why it’s imperative to get rid of them at the first signs because the longer they are allowed to thrive, the faster they will spread. Our bed bug experts use chemical-free heat treatments to get rid of them. A technician will visit your home, and perform a thorough visual inspection first. Afterwards, a customized plan will be put into place for your particular infestation. The minimum amount of preparation and inconvenience is required of the homeowner. One pest that is certainly not limited to just any one area of New York. Cockroaches can infest anywhere, even in Bushwick. The problem with these pests is that they often remain out of sight. It’s not uncommon for them to scatter as soon as you turn the lights on. Unfortunately, they don’t travel alone. An infestation will include many roaches. So, if you do happen to see one, it’s a sure-fire bet that there are many more in your place where you can’t see them. Roaches are attracted to damp and wet areas. Make sure you don’t have any leaky pipes or faucets around your place. Also, they are always searching for food, so make sure no food particles are left lying around after you eat. Keeping your entire home clean and clutter-free will go a long way in helping to prevent cockroaches from infesting. In case of one though, always consult with a professional cockroach removal expert. Roaches may seem harmless, but they are capable of spreading diseases to us. So, it’s crucial to get rid them as soon as possible in order to stay healthy. 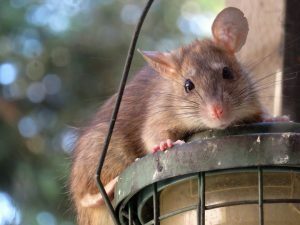 Rats and mice are the other common pests around New York City. They can infest an area very quickly because they reproduce so rapidly. Allowing just a couple to get in could lead to a lot of trouble. Like other pests they are also attracted to food and shelter. So, just like other pests keeping your home clean, and all food stored away properly will help keeping them out. 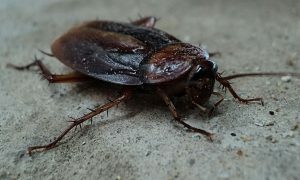 Also, similar to cockroaches, they are capable of spreading numerous diseases that can be harmful to you and your family. At the first sign of any kind of rodent, you should get in touch with a professional rat removal expert. They will locate the source of the infestation, seal any entry points rodents may be using to get in, and help to prevent any future infestations. An infestation is extremely hard to deal with if you do not have any professional help. It is always best to contact a company that has years of experience in the field, and can effectively remove any type of infestation regardless of how big or small it is. We will work with you to come up with a customized plan for your particular problem. Contact us for a consultation for your pest problem today.